Baraa Primary School was delighted to receive, in the month of September, 115 kilos of donated supplies from Pack for a Purpose travellers who stayed at Onsea House, Machweo and other hotels in the Arusha area. In addition, we received another 20 kilos by mid November. The donations ranged from jump ropes to footballs, books to pencils, toothbrushes to USB sticks, all requested items on our needs list on the Pack for a Purpose website. 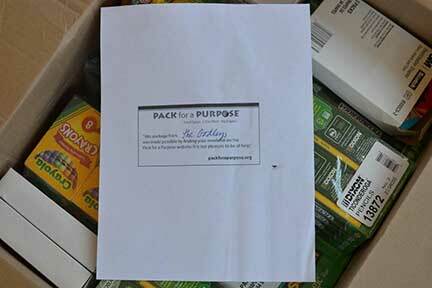 The Pack for A Purpose donations made everyone at Baraa Primary School very happy. The sports coach is enjoying using the football whistle to make himself heard above the shouts of noisy footballers. The librarian is assembling gift packs for all the final year students who are about to sit their primary leaving exams. The students will be delighted to celebrate the end of these exams with a gift of pens, pencils toothbrushes etc. The classrooms look much brighter with maps and other posters hanging on the walls. We were also excited to receive all the really invaluable pens, pencils and other stationery items (school supplies). With 1,500 students, we go through a lot of pencils and other everyday items. The art supplies and educational games and other items will be put to good use by our volunteers in the extracurricular classes we are now running regularly. 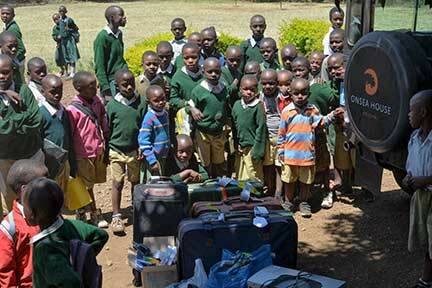 Thank you so much from a very excited Baraa Primary School in Arusha, Tanzania.